Casino.com is a renowned online casino owned by the well-known Mansion Group. 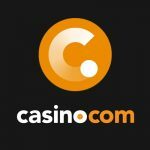 As a provider that strives to create the world’s leading online casino, it’s no surprise that Casino.com is available in over 40 languages. Since it was founded in 2007, the casino has continued to open its virtual doors to players around the world, including the UK. Casino.com carries a reputable Gibraltar license and is licensed and regulated by the reputable UK Gambling Commission and also offers transparent payout conditions that they present in clear details. The bonus is attractive, too, and new players can get their hands on up to €400 to begin their gaming experience at this online casino. There’s a solid offering at Casino.com. The aim, as the casino states, is simple: to provide trusted iGaming services that can’t be matched in terms of choice and quality. We think they succeed! So, it’s time for us to take an in-depth look at just what Casino.com has to offer our players. Sign up to Casino.com and get up to €400 to boost your bankroll and loads of free spins. It’s a fairly lucrative offer for first-time players. Before you even make your first deposit at this casino, you’re awarded 20 free spins just for signing up. It’s a nifty way to get you to have a look around the site and try your luck on a couple of slots. Once you’re ready to make your first deposit, the casino will match it 100% up to €400 and another generous 180 spins. The 180 free spins are divided up and you get 20 as soon as you make your first deposit and another 20 per day over the proceeding 8 days. You’ll need to wager 20x before you can withdraw any winnings from your free spins and the maximum winnings are capped at €100 and paid out as bonus funds. For the welcome bonus, you need only deposit €20 to qualify for a maximum bonus of €400, and you’ll need to wager 40x before withdrawing. Casino.com has a lot of promotions on offer, so no matter your bankroll or playing style, you are bound to find something attractive for your needs. With the Table and Cards Welcome Package, you can enjoy 100% up to €100 extra in cash to play with. All you have to do is make your first deposit, enter a code and wager 20% of your deposit amount a hundred times. That will help you unlock the first 20% of your cash bonus. Then, keep playing the tables to grab your cash bonus in instalments of 20%. You also get 25 Golden Chips, spread out over 5 days! From free spin days to deposit bonuses, there’s a lot on offer at this online casino. Be sure to read through everything before accepting an offer so you’re familiar with the wagering requirements. Casino.com also has a handy VIP programme. You can start earning points as you wager right from the get-go. The higher up the ranks your climb within the VIP programme, the faster your payouts. You can also look forward to special gifts, VIP trips and a whole range of loyalty level bonuses. If you plan on being a regular at Casino.com, make sure you rack up those points and reap the benefits. Casino.com offers a comprehensive range of banking options to cater for all kinds of players. There are varying clearance times as well as differing minimum and maximum deposits depending on your preferred banking method. Debit and credit cards carry instant processing times. The minimum deposit is €20 while the maximum is €25,000. Both Skrill and Neteller are instant and allow for a minimum deposit of €15 and maximum of €10,000. The minimum is also €20 for Entropay, Paysafecard, EcoPayz and Citadel, with the maximum daily deposit set at €10,000 and processing is instant. This casino supports WebMoney, too, with a minimum deposit threshold of €15 and maximum of €10,000 per day. Bronze, Silver and Gold members can withdraw as much as €15,000 per day and processing takes up to 3 working days. VIP members can withdraw up to €30,000 per day and the processing times can take 1 – 2 working days. Casino.com makes use of the highly reputable and very exciting Playtech software. Mansion uses Playtech for some of their other brands, too. While there is limited to access to their games from certain countries, you’ll still find come of the best choices around in terms of gaming selection and bonus games. Playtech software can be accessed three ways: by downloading the casino to your machine, in Instant Play via your internet browser or on your mobile device. At Casino.com, you’ll find more than 200 games, which is pretty middle-of-the-road, yet still enough to keep you busy. In fact, you’re not likely to get bored any time soon. If you love online slots, this is a casino you’re going to enjoy playing at. Firstly, slot play counts 100% to meeting any bonus wagering requirements. Secondly, there is a massive selection of slots to have fun with. Whether you love multi playlines or prefer to hang out at the progressive jackpots, Casino.com has it all. If you’re more of a table games fan, you’re not likely to be disappointed. This casino offers in excess of 7 variations of blackjack and a staggering 9 roulette variations. You can choose between Blackjack Switch, Blackjack Surrender, Classic Blackjack and even 21 Duel Blackjack. Whether you’re a newbie or just a little rusty, you’ll quickly get up to speed with Blackjack’s rules thanks to the handy help page that outlines the basics. If you’re unfamiliar with any game that you’d really love to try, make sure you learn the rules and strategies first. For example, if you want to try something different in roulette, start with the French or European variants that have just a single zero rather than the American roulette that has a double zero. Then there’s 3D roulette and even mini roulette. If you prefer, you can have a go at baccarat or poker instead! The awesome array of games at Casino.com can be accessed through your smartphone or tablet simply by accessing the casino from your device’s mobile browser. You can use the same account information to login and start playing your favourite games right away. You’ll still accrue loyalty points, which means not only do you get to have fun on the go, you can earn rewards on the run, too! Casino.com’s mobile site as an excellent selection of all the most popular titles that you’ll find on the full site along with a handful of exclusive mobile offerings. If you have an Apple device, there’s even a dedicated Casino.com app available from the iTunes store. The app boasts more than 120 games and Apple touch ID is enabled. Casino.com is a member of the Mansion Group. The operator is licensed and regulated by the UK Gambling Commission and the Gibraltar Gambling Commissioner. This online casino uses Thawte verified SSL encryption to ensure the utmost safety and security across all transactions. What’s more, the operator is a member of the Gibraltar Betting and Gaming Association and are compelled to adhere to and support the Independent Betting Adjudication Service (IBAS). The IBAS is an independent third-party organisation charged with settling any gambling industry disputes that may arise. Casino.com further uses Random Number Generators (RNG) and publishes return to player statistics to assure you of a fair gambling experience. Your details are always secure thanks to robust security measures like RSA encryption and a Firewall. Casino.com seems to be rated highly amongst players who are extremely active in various online gambling forums. That means there are hundreds of reviews online and the majority of them are positive when it comes to Casino.com’s customer support team. The team is available 24 hours a day, 7 days a week. You can get hold of them via the live chat function, international or UK landlines and email. We found the support team responsive, friendly and always willing to assist. Casino.com is a serious online casino. The operator strives to conduct business fairly and transparently. Notably, the site documents its payout conditions in an exemplary manner. The bonus offer may not be as lucrative as some online casinos, but the playthrough conditions are reasonable and up to €400 with 180 free spins is still a great way to kickstart your Casino.com experience. The multilingual customer support is highly efficient and can be reached any time you need them. There’s also the UK and Gibraltar licenses and fast payout speeds for VIP players. All this put together makes for a positive and enjoyable online gambling experience. Casino.com is by no means a new casino, and it may not have the hugest variety of games, but it does have plenty of slots, progressives, card and table games to keep you going for ages. Signing up takes just minutes, too, and you can play with your browser, the downloadable software or effortlessly on your smartphone or tablet. All in all, Casino.com is a big contender in the iGaming industry and one you’re going to want to try out for yourself!